There are already apps on the market that will identify marijuana strains by a picture. However, knowledge is power and there’s nothing better than being able to identify strains of marijuana yourself. The very first thing you should know is how to differentiate between sativa and indica. In living plants, they have distinctive characteristics that make identification easy. The living indica plant is a stubby, stocky plant found in climates a little colder. The indica has very flat leaves that fan out, with the segments of the leaves spreading out and sometimes touching each other. Indicas are more resembling of a short shrub or bush. They usually grow no higher than four feet and during the flowering process they tend to double in size. The plants are dumpy with broad, fanned out leaves and the branches grow densely together. The plants double (instead of tripled like the sativa) in their size while budding. Living sativas are much taller, usually slender looking plants. The branches are much more spaced out and are usually found in the warmer climates. When sativas start to bud, they could triple their size (with the right environment). The sativas grow quite high and lofty with thin leaves and thin branches. Hybrids have been developed over the years by growers wishing to combine positive essentials of different strains. 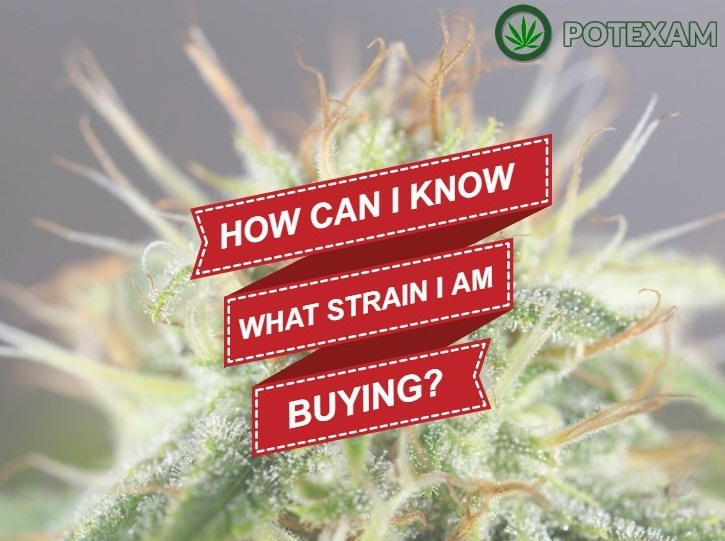 While it may not be possible to positively identify a strain 100% of the time, with a little bit of knowledge you can make an educated guess. In addition, it’s great to be aware of what type of bud you are enjoying instead of just consuming whatever comes your way. There are thousands of different strains and with a little knowledge you could be on your way to finding a strain that is perfect for the kind of high experience you want. Generally speaking, even in a hybrid you can notice either sativa dominance or indica dominance. The live plants are easier to identify than their dried counterparts. Once you know how to identify between a nugget of sativa and indica you are on your way to being able to identify the different strains of each. It is also important to remember that there are hybrids, which throws a twist into the identification process. The dried buds of the indica variety are much more compact. The buds are representative of the tree- it is short and smaller than the sativa variety. The weighty flower buds stick close to the stem. Trees grown in colder climates tend to develop a purple hue so look out for this on buds. Some sativa are also grown in cooler climates so even though it has a purplish hue, the bud may also be a sativa. A characteristic of the indica is the heaviness of THC; once smoked, the indica gives off a strong scent. Certain countries have cultures and customs that have been using this sativa strain for centuries. Countries like the Pakistan, Afghanistan, India, Morocco and others are the original natives for the indica strain. Indica has a high CBD and a lower THC count. The experience is indicative of both the live plant and the dry buds; heavy and dense. This type of heavy body high is best recommended for the evenings or for languid days. It is also great as a pain killer for those looking to use marijuana for its medicinal benefits. The muscles tend to relax and for those that suffer with spasms this is the perfect strain to use. The Indica strain helps to relieve spasms, insomnia, seizures and muscles. A strong indica tends to have a stoner effect so save this for the evenings. If you are looking for a strain that you can enjoy during the day then look out for a sativa strain. This strain produces a more light yet focused heady high. After enjoying an indica strain, the euphoric effect helps motivate you with increased creativity and focus on the task at hand. This is the recommended strain for those that are active and helps sharpen focus and concentration. The sativa strain is quite different in a few ways than the indica. The experience, appearance, the living plant and growing conditions are all characteristics which set the sativas and indicas apart from each other. In countries like South Africa, the sativa strain is thought of as the “summer plant” as the climate is more suited for the tall growing trees. They require prolonged months of sun as opposed to the cooler climate loving indicas (known as the “winter plant”). Sativa’s tend to require more care, effort and time to grow however they produce excellent yield results. The sativa strain is used for its medicinal properties to relieve depression, queasiness, nervousness or anxiety and to relax tense muscles. There are many different strains of sativa, indica and hybrid. The trick is to experience the different types of highs for yourself and to feel which strains are best for you and you can then guide your experience and control how you choose to experience marijuana.